Last year, I was a participant. This year, I was proud to DJ the second annual Empire Cup race at Toggenburg Mountain Winter Sports Center in Fabius. It’s not your typical ski race — read on to find out what makes this one unique! 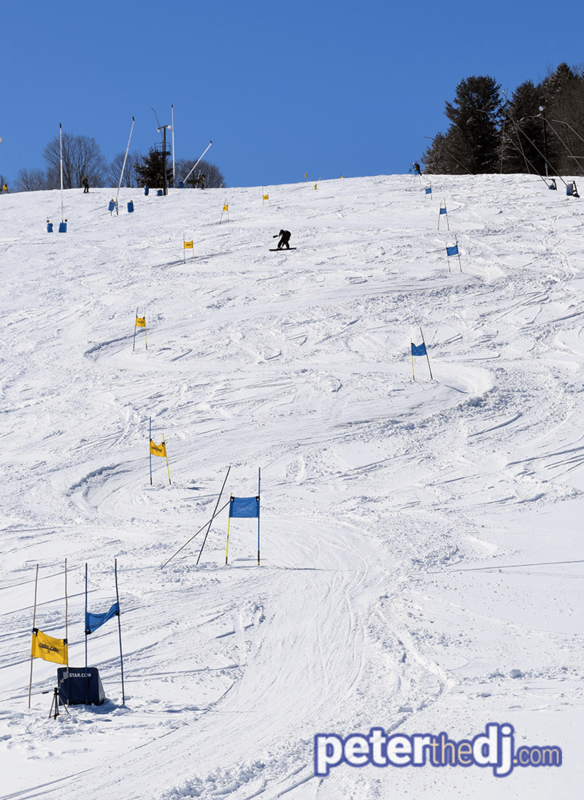 Like in many sports, the goal of a ski race is to finish as quickly as possible. The Empire Cup adds a fun challenge. At the starting gates, each skier or snowboarder gets a full, 12-ounce cup of beer compliments of Empire Brewing Company. (Participants under 21 get a cup of water.) The goal is to get the fastest time and spill as little liquid as possible! When racers reach the bottom, officials use a ruler to determine how much liquid is still in the cup. Each ½ inch missing adds to their actual time to clear the course. After the last runs, everyone hung out to enjoy the music (and remaining beer) until winners were announced. Check out the photos below, you’ll see some people dancing along to the YMCA, the Cupid Shuffle and more. Despite rain earlier in the week, it was a beautiful day for skiing on Saturday! A few inches of fresh powder the night before was very welcome. Thanks again to the crew from Toggenburg for inviting me! I had fun being out there, and hope to do it again! ← Peter’s Pointers: Choosing a Wedding Officiant – Friend or Pro?